Indoor mold buildup is unsettling for any Chesilhurst, NJ home or business owner. Due to the nature of mold and how it populates its environment, it can easily spread and threaten your property value and your family’s health. The MasterTech Team recognizes the risks involved with mold. This is why, our experts will always advise immediate, safe and efficient action to addressing the mold suspicion. When it comes to mold, a bad mold remediation can actually make problems significantly worse. That is why at MasterTech Environmental, we promise the job done right the first time. As proof of our commitment to you and your family’s health and safety, MasterTech includes a 5-year mold-free warranty with every Camden County, NJ Mold Removal and Remediation. 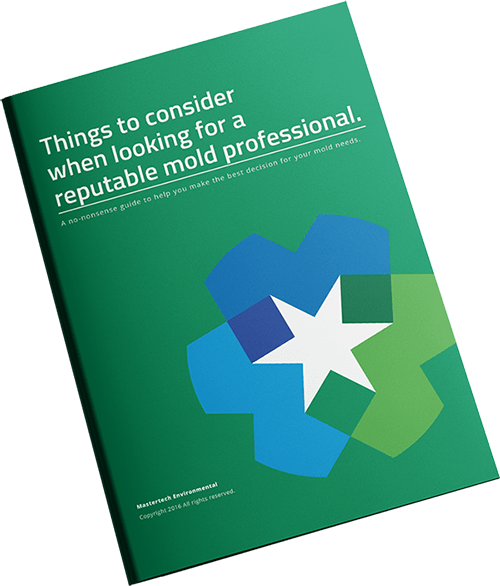 If you suspect mold development in your Chesilhurst, NJ property, you should contact a reputable mold professional to conduct a comprehensive Chesilhurst, NJ mold inspection. A proper inspection will confirm or deny the existence of mold, diagnose the moisture source allowing the mold growth, and determine the full expanse of the mold development. Following a thorough mold inspection, your MasterTech inspector will be able to outline an appropriate course of action to remedy your mold issues. Visual Evaluation– Your MasterTech Inspector will complete a visual analysis of the property to identify any conditions that could perpetuate mold growth in your Chesilhurst, NJ property. All findings will be digitally documented and available for your records. Moisture Mapping– Your Chesilhurst, NJ mold inspector will strategically map out the wet areas of the property to determine where the water source begins and ends. Through the use of moisture meters and thermal imaging cameras your inspector will be able to avoid any unnecessary demolition or invasive tactics that can promote the spread of mold development to originally unaffected areas. Mold Testing– Surface and/or air quality tests will provide scientific data that will confirm or deny mold presence. If mold presence is confirmed, the test results will help your inspector figure out the most appropriate course of act to resolve the mold issue. Report of Findings– Your inspector will consolidate all his or her findings into an easy-to-read report for you to review and keep. If needed and requested for, your inspector will present you with a detailed scope of work for a complete Chesilhurst, NJ mold removal. Mastertech’s mold removal and remediation process is second to none. Using years of industry experience and incorporating some of the safest and most effective removal techniques available, our team of experts have been able to establish a detailed mold removal and remediation process. After completing a Chesilhurst, NJ mold remediation, we are confident that you and your family will come home to a safe environment. Every MasterTech mold removal in Chesilhurst, NJ is backed by a 5-year, mold-free warranty. Our priority is that we did the job right for you and your family the first time. To ensure a job done right, we always complete post remediation verification testing to confirm the work. If you detect signs of major mold development in your Camden County, NJ home or business, contact a NJ mold removal professional. For mold removal Audubon Park, NJ or for mold inspection Woodlynne, NJ call us today!